If you're looking to get the best deal on a new firarm, Keith's Sporting Goods is the place to go. With over 30 years in business, and over 5,000 guns in stock, we are Oregon's and Washington's largest gun dealer. We invite you to look around our website, then call or stop by to see our huge selection of new and used guns. We carry every major manufacturer, and like Keith himself says: "If we don't have it, you don't need it." We are located on the corner of Powell Blvd and Victory Lane, a few blocks west of Hogan. Click the map below to be taken to Google Maps for detailed directions to our store. 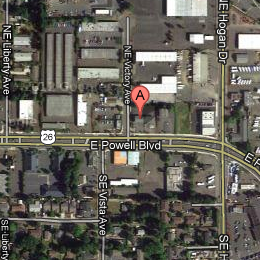 Our retail store is located at 1595 E. Powell Boulevard in Gresham Oregon. We also have a Law Enforcement Center which is located at 95 NE Victory in Gresham. We carry every major gun manufacture including: Remington, Smith and Wesson, Colt, Ruger, Glock, Sig Sauer, Browning, Bennelli, H&K, Savage, Walther, FN Herstal, Mossberg, Bushmaster and many more. Keith’s Sporting Goods does FFL Transfers. If you have questions regarding our FFL Transfer services please visit our Oregon FFL Transfer page. We also sell used firearms and have a large selection of gently used pistols, rifles and shotguns in stock. 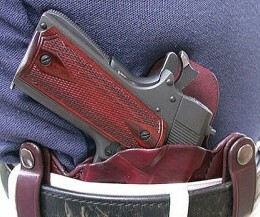 Visit our used gun inventory page, or call us to see if we have what your looking for. If you’re looking to sell a used gun, or guns, we accept consignments and have the most buyers walk through our doors of any Portland metro area gun shop. Call us today, or stop by our store. With over 5,000 guns in stock, we are sure that we will have what you’re looking for.